All countries Germany Germany (Naturist campsites) Nordrhein - Westfalen Nordrhein - Westfalen (Naturist campsites) Grenzland West e.V. ContactCreate a PDF to printCorrecting the data of Grenzland West e.V. Opinions and experiences of visitors with Grenzland West e.V. We very much liked this high quality,well maintained and friendly site. High points were the heated modern toilet/shower block, and the ability to cycle over the border to the Netherlands through the National Park only a few kilometres away. It was very peaceful and quiet with no road noise. When entering the dirt road to the site it is worth noting that you must ignore the first Naturist site you pass on the left, and carry on under the banner to Grenzland. We like to visit Grenzland West, near the Dutch border (Roermond). 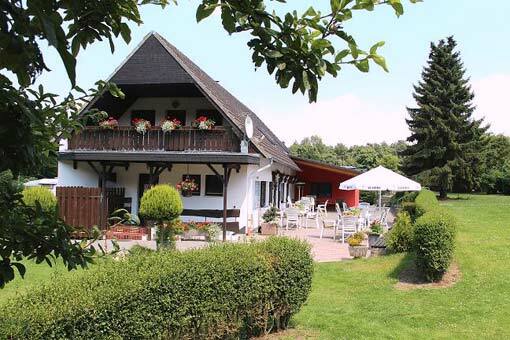 Camp with sauna, swimmingpool, youth-animation, sportsprogramm, b&b , restaurant. What is your experience with "Grenzland West e.V."? How do you rate Grenzland West e.V. in general?